Left and Write: Back Already?? No, I haven't quit my hiatus before it's even begun, but I just wanted to pop back in and remind you that the lovely and talented Sydney Aaliyah is celebrating her blogging anniversary and is asking people "Why do you blog?" A big 'congrats' to Sydney on her blogoversary and I was honored that she thought of me. You can catch all of my semi-coherent ramblings here. Now...once again....see you in April! Good grief, that Alex almost comments before you pawblish, sorry, publish! Like Alex, I've already visited her site and said 'arf!' or something along those lines. Hope you're having a great break! Hope you are having a wonderful and fun hiatus! 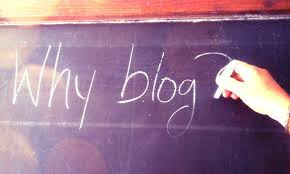 Only 2 more days left for your bloggy break! Enjoy them! Good luck with the A-to-Z! I hope you got a bit of a rest ahead of time. Enjoy your gearing up... It took me DAYS to organize mine.... Good luck! Happy hiatus! Ill stop by and check out the link. I enjoyed reading about Dr. Occult and the others, and I love the covers and other illustrations! Thanks for sharing.